Nothing says Christmas like a good-old fashioned carol. Although it's probably a little early to put on your favorite Christmas album, it's not too early to think about which ones may help usher in the holiday season. This year, there's a series of new holiday collections due out throughout October and early November. Rod Stewart, Cee Lo Green and Colbie Caillat are readying their releases. Country stars have jumped on the Christmas music bandwagon this year, too; Lady Antebellum, Blake Shelton and Scotty McCreery also have holiday albums coming out in 2012. Lady Antebellum will release its holiday album, "On This Winter's Night," on Oct. 22. The 12-track set features renditions of "Silver Bells," "I'll Be Home for Christmas," "The First Noel" and "Silent Night," among other classics. Lady Antebellum recorded the material over the summer in Nashville. And because it's hard to get into the holiday spirit in the middle of July, the trio outfitted the studio with lights, fake trees and other decorations. "You'd leave the studio, and it'd be 100 degrees out in Nashville, but nonetheless, a great experience," Dave Haywood told The Boot. Colbie Caillat got into the holiday spirit with the help of some of her musician pals. Both Gavin DeGraw and Brad Paisley make guest appearances on her album, "Christmas in the Sand," due out Oct. 23. Paisley duets on "Merry Christmas Baby," and DeGraw appears on "Baby, It's Cold Outside." Caillait's new collection will feature 10 holiday classics, along with five original songs. The California native also recorded her over the summer. "A lot of the songs I wrote for it are about how not every (winter) holiday I spent has been only in the snow," Caillat told Billboard. "It's also been in the sun and at the beach and a different kind of lifestyle (that) not everyone has. I wanted to tap into that. It's fun to write a Christmas song from that perspective." "Grease" stars Olivia Newton-John and John Travolta have joined forces for a holiday collection dubbed"This Christmas," due out Nov. 13. Reuniting for the first time in years, the stars take on 13 tracks, including "Silent Night" and "White Christmas." Barbra Streisand, James Taylor and Kenny G are among the stars appearing on the collection. "My desire was to make This Christmas an intimate album, not something too ostentatious or showy," Travolta said. "I wanted people to be able to play it around the house or in the car during the holidays, and make us part of your celebration. "We all felt a wonderful, joyful energy while recording this album," Newton-John added. "We want to make a lot of people smile and happy. Cee Lo Green is getting into the holiday spirit this year as well. "The Voice" coach will release his holiday-themed album, "Magic Moment," on Oct. 30. Fellow "Voice" coach Christina Aguilera duets on "Baby, It's Cold Outside," and there are guest appearances by Rod Stewart, The Muppets and Straight No Chaser. Green told Billboard his album is a "soulful take on a host of Christmas classics." Some of those classics include "White Christmas" and "The Christmas Song." Scotty McCreery will release his new album, "Christmas with Scotty McCreery," featuring 10 holiday songs, including two originals. He also recorded the standards "First Noel," "Winter Wonderland" and "Let It Snow." "Christmas has always been my favorite time of the year," the "American Idol" alum said in a statement. "And what is Christmas without music? We start listening to Christmas songs early in the McCreery household, so it felt right. I've always wanted to record a Christmas album since I've had my music career." Blake Shelton is celebrating the holiday season early this year. He already released his album, "Cheers, It's Christmas," on Oct. 2. The album features duets with Michael Buble and Reba McEntire, as well as one with his mother, Dorothy Shackleford. Shelton recorded many of the songs with full orchestral accompaniment. 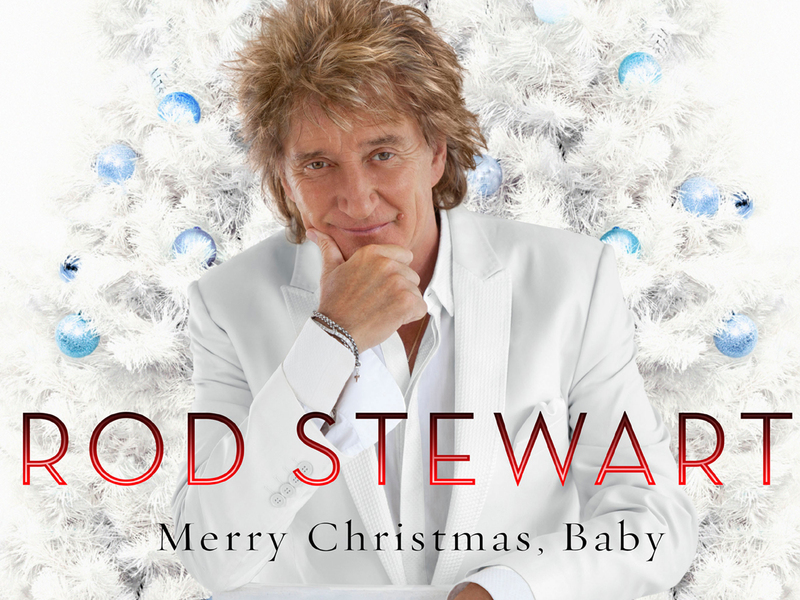 Rod Stewart will release his first-ever holiday album, "Merry Christmas, Baby," on Oct. 30. The duet-heavy set features a slew of guest stars. Michael Buble sings on "Winter Wonderland"; Mary J. Blige appears on "We Three Kings"; "Merry Christmas, Baby" is a duet with Cee-Lo Green; "Let It Snow! Let It Snow! Let It Snow!" features Dave Koz on saxophone; and "What Are You Doing New Year's Eve?" is a "virtual" duet with Ella Fitzgerald, featuring Chris Botti. "I have always been tempted to do a Christmas album," Stewart said in a statement. "And now that I once again have young children, the timing couldn't be better." "I wanted my Christmas record to be a classic-sounding album, bigger than any genre," Shelton said in a statement. "The recording process definitely took me out of my element and pushed me to really work through a lot of ideas." It was 25 years ago this year that the world was introduced to the first-ever "A Very Special Christmas" compilation. The original album, released in 1987, featured U2's "Christmas (Baby Please Come Home)" and Bruce Springsteen's "Merry Christmas Baby." Now to honor the anniversary, there will be two new albums coming out on Oct. 16: "A Very Special Christmas, Bringing Peace on Earth" and "A Very Special Christmas 25th Anniversary, Bringing Joy to the World." Dave Matthews, Christina Aguilera, Michael Buble, Jason Mraz, Train and OneRepublic are among the artists appearing on the "Bring Joy to the World" compilation, and a series of Christian acts, including "American Idol" alum Jason Castro, have recorded tracks for the "Bringing Peace on Earth" collection. Proceeds from the sets go towards the Special Olympics. So far, the Christmas compilation effort has raised more than $100 million for the cause. Tell us: Which Christmas collection are you looking forward to checking out?